The year 2007 feels in many ways like a lifetime ago. Social media was in its infancy. Facebook was a couple of years old. Twitter was just being launched. Here in Malta, blogs (and bloggers) were practically non-existent. 2007 was also the year I started writing for this newspaper. That was a defining moment – for me at any rate. My subject was abortion, arguably an odd and untimely choice. Even a bold one, were it not for the fact that in 2007 abortion – much like blogs and social media – was still pretty dormant. It hadn’t yet become a controversial or passionate issue, so there was little chance of a backlash. Apart from the usual pre-column jitters (particularly those preceding publication of your first article!) I wasn’t all that apprehensive. I certainly don’t recall wondering whether I’d be torn to shreds or lambasted by trolls. And I wasn’t. In fact, the article was virtually ignored and didn’t receive a single comment, trolled or otherwise. Come to think of it, I didn’t even know what a troll was way back in 2007. They might have existed, I suppose, but they certainly weren’t visible. At least not in Malta. 2007 was also the year that Madeleine McCann went missing. The dreadful disappearance of that little girl became an online phenomenon overnight. The media attention was un­precedented. Many of us became aware of a novel and powerful popular platform for the sharing of news and commentary. The volatile relationship between the media, the public and the police was played out in real-time, and in the process the public were fed lies and distortions. The media would ultimately be accused of doing a great disser­vice to the McCann investigation. Speculation and slurs were everywhere. ‘Team McCann’ – the McCanns themselves – were implicated in the abduction, with some even saying the McCanns had sold their daughter to child-traffickers, and others suggesting that they had accidentally killed her and then disposed of her corpse in a freezer. Malignant trolls amplified lie after lie, safe and lavish in the new anonymity of the internet, their manta of “we can’t prove it, but we know you did it” sounding incessantly in everyone’s ears. I don’t think there is a person alive who did not buy into that narrative, even just for a fleeting moment. And the McCanns lived in the shadow of ubiquitous doubt. No surprise therefore that a number of British newspapers would later be forced to pay out hundreds of thousands in libel damages and print gro­velling front page apologies. Twelve years on, we are now older and wiser (?). Because what the McCann case demonstrated was the enduring power of the printed word, only now more than ever in the form of soundbite and knee-jerk commentary. Media content, even if unsubstantia­ted, suddenly began to look like real news and to acquire an axiomatic ‘truth’ of its own. It was a watershed for the British press – and a new low to boot. Serious critics hoped in vain that the tide would turn against such media excess and that newspapers and journalists would be forced to reconsider their professional integrity. The McCanns have expressed their amazement that no journalist or editor has ever been held to account. What is the moral there? That a person can get away with whatever he fancies writing, without ever having to stand by what he has actually said? No one should write about you without being held to account. And it’s an issue that goes way beyond the amateur busybody or troll typing away in the padded cell of his own resentments and bigotry. Professional journalists, I believe, are particularly at risk if they allow the pressure to deliver sensational copy and scoops to get the better of them. Untold damage to their profession can be done. While therefore the McCann case was going full tilt, the Portuguese police faced constant media scrutiny. They were called incompetent, medieval, fat and drunk by those who simply decided that they were. They and the British police were also played against each other, and the worst kind of xenophobia seemed to rear its ugly head. Social media became increasingly insensitive to local norms and practices, so the Portuguese force came to resent the presence of UK officers, and the investigation suffered accordingly, with warnings that Britain should not be acting as a ‘colonial power’. You could possibly argue, therefore, that the crass insensitivity of the Portuguese police toward the McCanns was its own defence mechanism against gratuitous criticism. Some even argued that the McCanns were not free from blame, what with their own courtship of the media and their glib and loose-tongued disregard for the secrecy of the investigation. Fast-forward to Malta, a country like Portugal with a reputation, hitherto, for being essentially ‘safe’. Daphne Caruana Galizia’s murder and the ongoing criminal investigation could conceivably be viewed in the same light as the McCann case. It too has courted media scrutiny, both in Malta and overseas, and ironically, in some quarters, Caruana Galizia represents the same media excesses that bede­villed both the Portuguese police and the McCanns. There are many parallels between the two cases which can’t be ignored. In the McCann case, the pressures on the Portuguese police were huge. They were portrayed as a backward Third World force led by a drunken and decrepit officer whose dismissal was re­ques­ted by the British Prime Minister. Sounds vaguely familiar? Malta too has had to endure her fair share of intense (and unfair) criticism against its police force and judiciary, with none other than the Portuguese MEP Ana Gomes leading the crusade. Her decision, for in­stance, to cast doubts on our institutions and make sweeping but serious insinuations about our police and judicial systems is symptomatic of what I can only call an inferior arrogance. Because those who ought to know better, never do. Perhaps the Rule of Law mission that visited Malta last September should have been told – apropos of the Daphne Caruana Galizia murder investigation – that the Maltese police had managed to work very closely and successfully with Europol, the FBI and other foreign ex­perts, with excellent results and with no animosity whatsoever. The investigation has been tho­rough and impeccably conducted throughout. If any fences have been trodden on, they have certainly not involved members of the Maltese police or judiciary. Which brings me to social media. We Maltese may have lagged behind for a few years but we have certainly caught up. 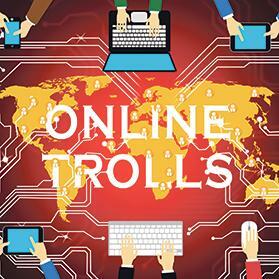 In­deed, we have finally woken up to the full horrors of online bullying and trolling. A few years ago, it was still open season, a free for all that was considered a perfectly acceptable by-product of healthy democracy. In the pro­cess, many Maltese were unfairly attacked and vilified, forced to endure a torrent of online abuse and fake news not dissimilar to that faced by the hapless McCanns. This sort of thing never goes away. Once something is written in print, it assumes a life of its own. Mud sticks. Largely unregulated social media and the attendant scourge of clickbait, fake news, malicious disinformation and online abuse threaten high-quality journalism. These are today’s challenges and where we need to focus.